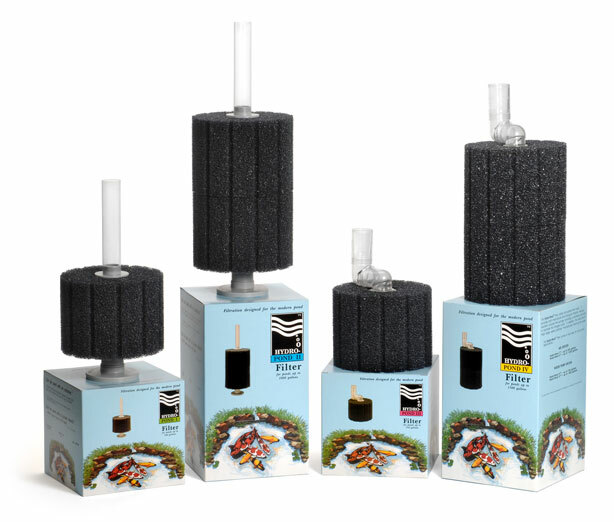 Hydro-Pond Filters - Aquarium Technology, Inc. Biological filtration is essential for the health of Koi, Goldfish, and other fish and there is no better biological filtration than a high quality durable sponge filter. The Hydro-Pond filter utilizes specially constructed reticulated filter foam that is heavy duty enough to withstand the high flow rates needed to circulate water in a pond, while also providing large and dense medium for nitrogenous bacteria to colonize. In addition, the foam also traps particulates providing excellent mechanical filtration. Available in two sizes for either air pump driven or water pump driven models.